A high-profile murder trial hearing Friday included a recorded jail phone call between defendant Tyler Tessier and his father and though dramatic, it was a generally legal move. WASHINGTON — When Montgomery County prosecutors announced in court Friday they wanted to play a recorded phone call between murder suspect Tyler Tessier and his father, it came as a surprise to public defender Allen Wolf. “I’m hearing things for the first time,” Wolf told Circuit Court Judge Michael Mason. 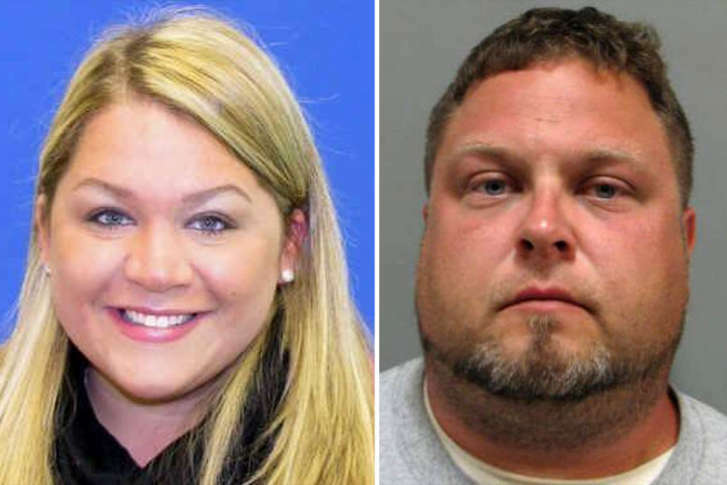 Tessier is charged with the September 2017 murder of his pregnant girlfriend, Howard County teacher Laura Wallen. Prosecutors Donna Fenton and Mary Herdman sought to play the recorded call to demonstrate Tessier and his attorney’s strategy was to deliberately delay his trial. In the call, Tessier said a trial delay would be in his best interest. In explaining his rationale, Tessier mentioned the Las Vegas shooting tragedy. Upon learning of the recording, Wolf sought to waive Tessier’s presence in the pretrial hearing, to prevent the drama of having his client’s reaction to the “gotcha” moment on display in open court. “The state wants to do a little bit of a show, and they want him here,” Wolf said. Judge Mason granted Wolf’s motion to allow Tessier to remain in a holding cell, while prosecutors were granted permission to play the call for Mason’s benefit and to the overflow crowd in the courtroom. Despite the prosecutorial tactic’s surprising and dramatic nature, recorded phone calls are, in most cases, legal. “We will refrain from commenting at this time,” said Ramon Korionoff, spokesman for Montgomery County State’s Attorney John McCarthy. Gansler, now an attorney with Buckley Sandler, is not involved in the Tessier case. Defense attorney David Felsen, with Felsen and Sargent, who is also not involved in the Tessier case, said not all of a defendant’s phone calls can be recorded or monitored. Felsen said defense attorneys often warn clients that phone calls from jail can be monitored, and letters can be opened and read by prosecutors. While the recording was used in a pretrial hearing, Gansler said a hearing would likely be held to determine whether it might be admissible in Tessier’s trial, which will begin Sept. 4, 2018. “A decision as to anything that is said on the phone call can be used at trial would be made down the road,” Gansler said.